Ukraine International Airlines launched non-stop scheduled summertime services en route Kharkov – Tel Aviv – Kharkov. The UIA non-stop double weekly flights en route Kharkov – Tel Aviv – Kharkov (PS 793/794) are operated on modern Boeing 737 and Embraer 190 aircraft with two cabin classes – Business Class and Economy Class – through to October 19, 2015. The outbound flights are operated on Wednesdays and Sundays with scheduled departure from Kharkov at 9:15 p.m. and arrival to Tel Aviv at 00:30 a.m. local time. The inbound flights are operated on Mondays and Thursdays with scheduled departure from Tel Aviv at 01:20 a.m. and arrival to Kharkov at 04:40 a.m. local time. “Launching Kharkov – Tel Aviv non-stop services UIA keeps on developing non-stop international flights` program from the cities of Ukraine, – noted Evgeniya Satska, UIA Corporate Press Secretary. 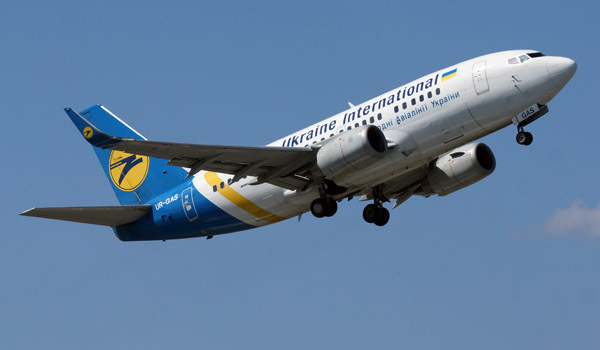 – UIA is currently operating a number of non-stop international flights from Odessa and Lvov. We aspire to offer the residents of Kharkov and the region similar range of summertime travel opportunities. It`s up to our passengers to choose either non-stop or transit services and to quickly and conveniently reach their vacation destinations”.